The Center is home to an interdisciplinary team of scientists, physicians and educators, each of whom has an interest in improving the delivery and practice of primary care and prevention. 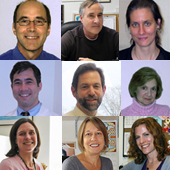 This team was created by a merger of investigators from the Memorial Hospital of Rhode Island (MHRI) Division of Health Education (home of the Pawtucket Heart Health Program); the MHRI Division of General Internal Medicine; the MHRI Hope Center (HIV/AIDS); Brown University Department of Family Medicine; and the Associate Dean of Primary Care's Robert Wood Johnson Foundation programs, "Reach-Out" and "Volunteers in Health Care". 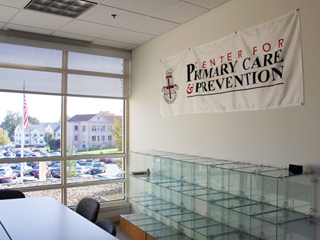 The CPCP is a collaborative effort between Brown University and the Memorial Hospital of Rhode Island, where a new facility built in 1998, the Primary Care Center, serves as a base of operation for faculty and staff. 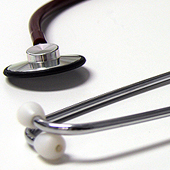 The Center serves Brown University faculty members with appointments in the University Departments of Medicine, Family Medicine, Community Health, Obstetrics and Gynecology, and Pediatrics. Faculty are based at Brown-affiliated hospitals, on campus, and in various private and public organizations. When originally conceived in 1997, CPCP was comprised of six thematic areas of research: primary care; health promotion and education; disease prevention; international health; health policy; and medical education innovation. Currently, the new Primary Care Center facility houses both the research components of CPCP and the academic physician practices in family medicine and general internal medicine. It provides a unique learning laboratory where innovations in research, medical education, and patient care are united. 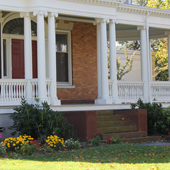 The Center has been involved in several outreach activities with community organizatiosn including meetings with the Urban League, Progresso Latino, Hope Street Ministries, Rhode Island Free Clinic, Clinica Esperanza, Latino Cancer Control Task Force in an attempt to find common ground to create community academic partnerships surrounding research agendas. 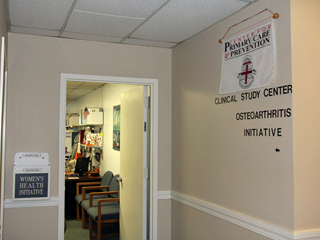 The center occupies 1570 square feet of clinical research space, is located on the first floor below the CPCP in the Ambulatory Outpatient area. This consists of a separate a waiting room with snacks and refrigerator for after fasting blood-drawing refreshments, large phlebotomy unit, 4 dedicated examining rooms for ongoing research studies, a reception area, medication storage area, Clinic Director and data entry space, 2 handicap accessible bathrooms and a radiology suite with mammography, fluoro unit, DEXA scanner and two x-ray units. Additional exam rooms are available for research staff to accommodate higher clinic volume as needed. The center employs a clinic manager, 3-4 research RNs, 3 research assistants, receptionist, lab processor and data entry clerk who are involved in a cadre of epidemiologic studies and clinical trials. Magnetom Trio is a 3 T high field MR system for imaging and spectroscopy in clinical-scientific research. It is equally suited for head and whole-body applications. Due to identical computer hardware and Operating programs (syngo MR), it is operated the same as Magnetom Sonata. The 3 T MR suite is located at Southeastern Medical Center, 555 Prospect Street, Pawtucket, RI and is equipped with its own private changing area, lockers, bathroom, waiting area and reception/interviewing area. 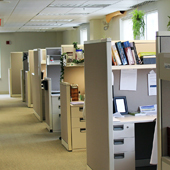 The MR suite is staffed with two MR technicians and 2 receptionists to cover the hours of operation, 8:00 am – 8:00 pm. 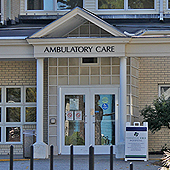 The CPCP utilizes the MHRI ambulatory out-patient laboratory for blood drawing needs. The area is convenient to the CPCP clinic studies area and is approximately 300 square feet in size and contains 2 blood drawing stations including blood drawing chairs and standard blood drawing equipment. It is staffed with trained laboratory technicians to draw specimens. The CPCP has stored archival samples for over 4,000 PHHP participants in -70 degrees for the past 15 years. For laboratory processing, we will be using the CPCP processing laboratory at MHRI. 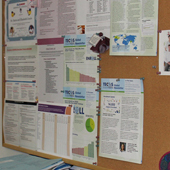 It is located in the basement directly below the Clinical Studies Center of the CPCP complex. 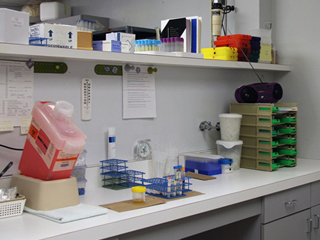 This area is convenient to the ambulatory outpatient laboratory where specimens are obtained for processing in the lab. The laboratory at Memorial Hospital of Rhode Island has extensive experience in processing large clinical trials such as the Pawtucket Heart Health Program, Women's Health Initiative, Osteoarthritis Initiative and a cadre of ancillary and pharmaceutical studies. Shipment of specimens is performed by MHRI staff designated as Certified by the Department of Transportation for packaging and shipment of biological specimens.